Kendrapara district was carved out of the erstwhile District of Cuttack, Kendrapara District is situated in Central Coastal plain zone of Odisha. The District is bounded by Bhadrak District at its North, Jagatsinghpur District at its South, Cuttack District at its West and Bay of Bengal at its East. There are various tourist places or picnic spots in Kendrapara district of Odisha. Where you can enjoy a lot and also it is the great place for the nature lovers because there are so many natural beauty picnic spots in Kendrapara. One of these places in Bhitara Kanika. It is a great place for the nature lovers. If you are planning for your winter picnic trip then the best place is Kendrapara. If you want to know the major tourist attractions of Kendrapara then see the below list to know about the best picnic spots in Kendrapara. 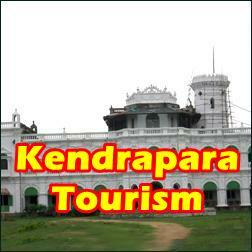 Give Responses for "Tourist Spots in Kendrapara"